“The Scottsbluff project, and NPPD’s other Sunwise Community Solar projects, are operating well and performing as expected. The Scottsbluff project was sold out within days of our launch of the project and the community has been extremely supportive,” explained NPPD Retail General Manager Tim Arlt. 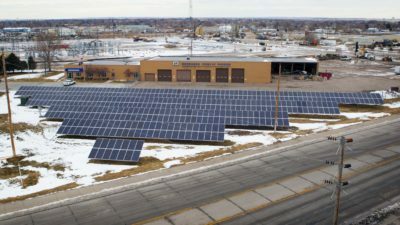 “In fact, Scottsbluff has embarked on a second community solar project with the developer, SolSystems, for a significantly larger 4.6-megawatt operation.” Arlt pointed out that NPPD is in various stages of progress for community solar projects in Norfolk, Chadron, O’Neill, Ainsworth, Pawnee City, and Loup City. Read the entire news release here. NPPD Photo: Scottsbluff’s first community solar project developed by Mesner Solar and GenPro Energy Solutions, both based in Central City, and NPPD. 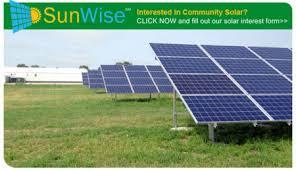 Request Community Solar In Your Community: If you are an NPPD customer who lives in another town or city and would like to request community solar in your community, click here to submit the SunWise Community Solar Interest Form. For more information on the R-Project, go to www.rproject.nppd.com. This entry was posted in Community-Scale Solar, Nebraska / Midwest News and tagged Enel Green Power North America, GenPro Energy Solutions, Mesner Solar Development, NPPD Retail General Manager Tim Arlt, NPPD's R-Project transmission line, NPPD's SunWise Program, Rattlesnake Creek Wind Farm, Renewable Energy Magazine, Scottsbluff's community solar projects, SolSystems on January 31, 2019 by Helen Deffenbacher. Construction began Tuesday on the Dixon County, Nebraska, wind farm from which Facebook will buy electricity to power its massive Omaha-area data center. Survey work and site preparation will begin immediately, officials from Boston-area Enel Green Power North America said, and turbine deliveries are expected in June. “We’ll start road work before winter sets in, and major construction work will begin after the winter,” said Mark McGrail, associate vice president for energy management for Enel Green Power North America. 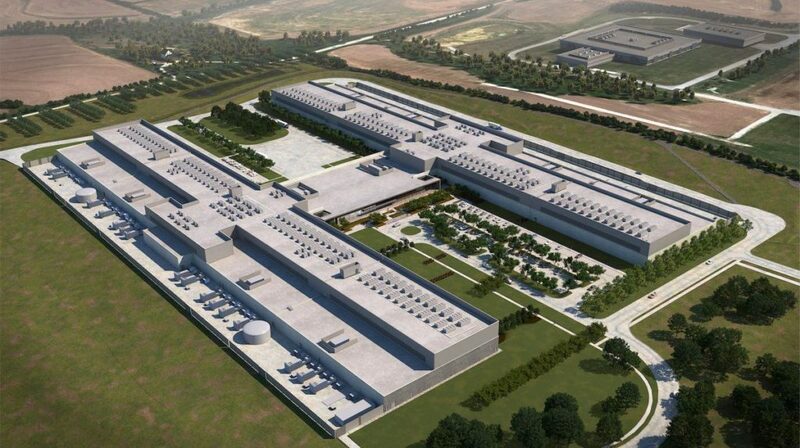 Image: Rendition of Papillion Facebook Data Center by Facebook. 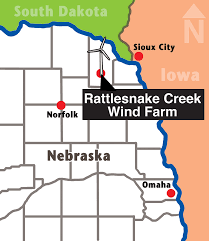 This entry was posted in Nebraska / Midwest News, NewsBlog and tagged Cole Epley, Dixon County, Enel Green Power North America, Facebook, Omaha Public Power District, Omaha World Herald, Papillion's Facebook data center, wind energy development in Nebraska on November 15, 2017 by Helen Deffenbacher.